What’s the best camera for travel blogging? 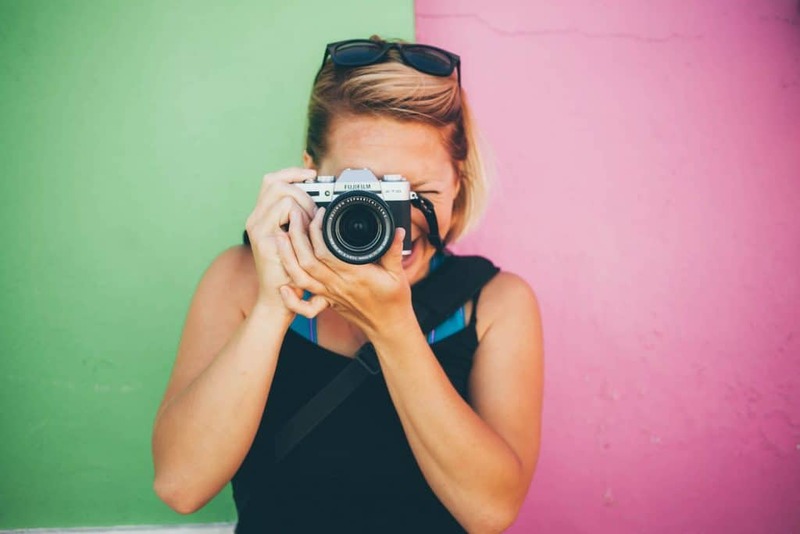 It is a constant dilemma that many travel bloggers and photographers face when they consider starting or making a new camera purchase. Back when blogging began most people would consider themselves travelers first and bloggers or photographers second. However, in today’s day and age that gap has begun to blur and with the rise of Instagram, we’ve all become photographers. Along with that came the misconception that all travel bloggers must go around with thousands of dollars worth of equipment and a dedicated camera bag. It’s a constant debate about what’s too much and what is too little. 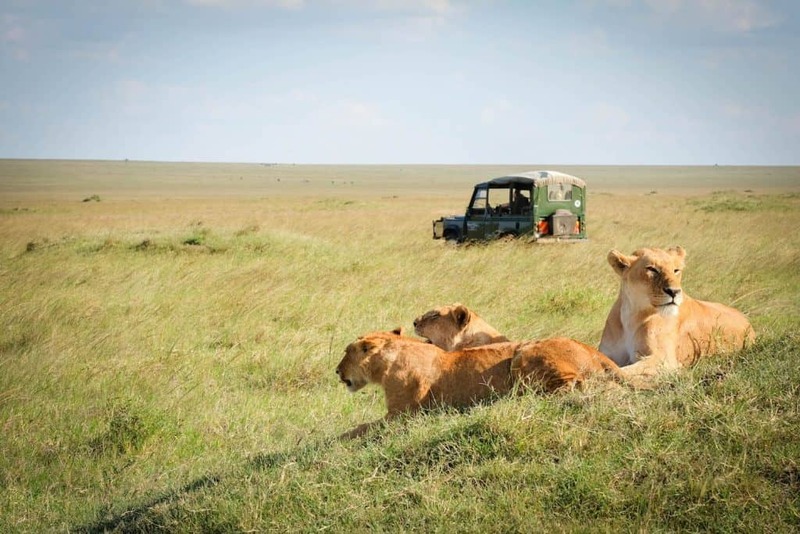 On top of that, many traveler’s lifestyles cannot ensure that they can constantly take care of all that pricey equipment. Nor do many feel comfortable with losing thousands of dollars worth of equipment. Our cameras over the years have taken quite a beating. I’ve dropped them and taken them through camera hell. To top it all off they’ve spent far too much time in humid environments like beach huts in Costa Rica and Mozambique. 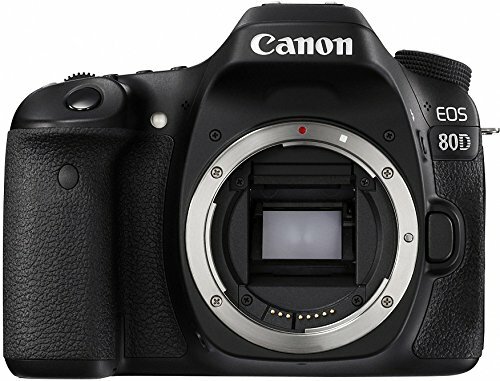 I’ve lost one Canon 5d Mkii and we’ll see if my Canon 80D makes it through another season of snowboarding – probably not. Now, most people probably won’t be as abusive as I am on a camera. 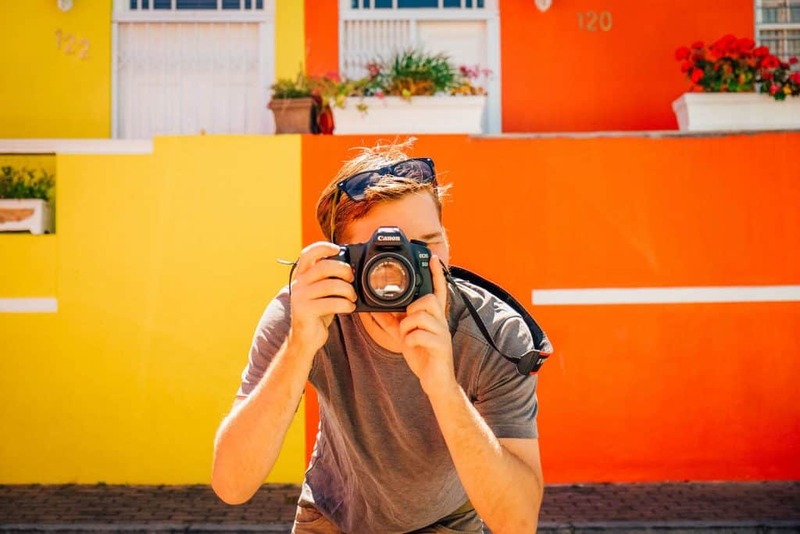 However, if you are already a well-seasoned digital nomad or just getting started, here’s a list of the top cameras for travel blogging put into terms we can all understand. The sheer number of cameras on the market today is overwhelming. Hours can be spent researching brands such as Canon, Nikon, Olympus, Sony, and Fujifilm. Even after settling on a brand, the question of which model to choose will still take up the better part of your day. We’ve found ourselves in endless debates about which camera to choose and put off investing in a new camera for a long time. 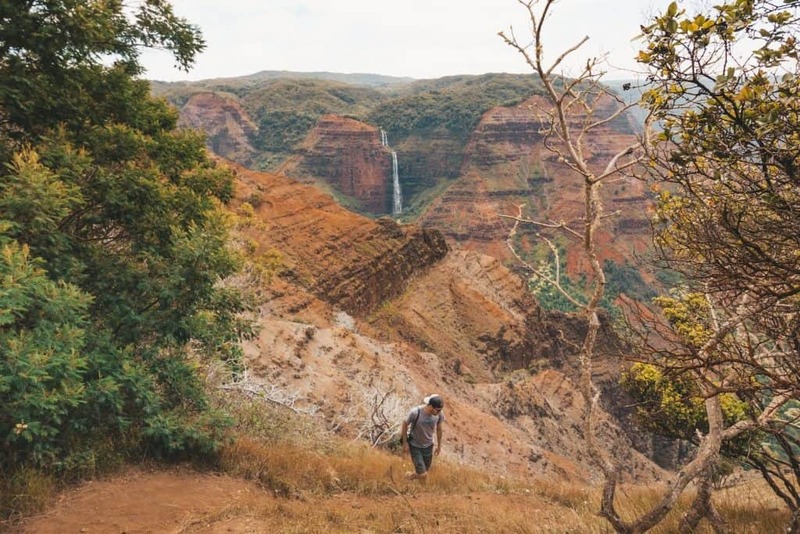 For those just getting started as travel bloggers and photographers, words such as aperture, mirrorless, shutter speed, and full-frame may be terms you are not too familiar with. However, once you understand the basics none of it is too complicated. The key points lie in the type of camera you’d like, cost, photography style, weight, and features. I’ve worked with cameras for the last decade of my life including some time in professional video production. In that time I’ve operated digital cameras worth $100 all the way up to $200,000. Read the post and pick a few cameras that stand out to you to do further research before making your final decision. Let me start off by saying that the camera market works in trends. 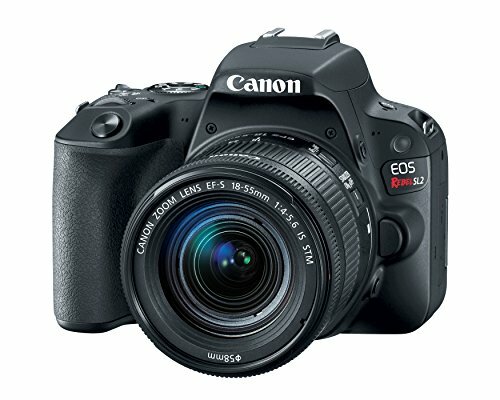 When Canon initially launched the Rebel camera it brought the DSLR “professional” digital interchangeable lens system to the masses. DSLRs reigned supreme for nearly a decade as the digital camera of choice. Now, with the introduction of the Sony mirrorless cameras, a new trend has been set and it seems the whole market’s focus has shifted to mirrorless. Even Canon and Nikon launched full-frame mirrorless cameras in 2018 to compete. What’s the difference between these two types of cameras? From the very beginning of photography, mirrors have been an integral aspect of making a camera work. Today’s digital cameras have improved a lot, but that doesn’t change the fact that a mirror is still at the very heart of most cameras. DSLR or Digital Single Lens Reflection refers to the fact that you look through the same lens as the camera’s sensor (what records an image). So, when you look through the viewfinder of a DSLR you are looking at a mirror in front of the sensor that processes the image. When first put on the market, mirrorless cameras couldn’t hold a light to the old DSLRs in terms of quality. However, as improvements have been made, mirrorless cameras are now on par with DSLRs – if not better. Since mirrorless cameras have fewer parts in the body the cameras weigh less and can provide better speed. The only drawback when purchasing a mirrorless camera is the lack of available lenses and accessories. Until recent models mirrorless cameras also lacked weatherproofing a key detail to professional photographers. In 2018 all of that is being left behind with a wide selection of quality lenses and weatherproof cameras. There is a clear trend towards mirrorless, but it does mean you are looking at an EVF or electronic viewfinder something that may not be the greatest experience for some people. It’s also a major strain on battery life as it is needed to power the display. One last thing when it comes to video on full-frame mirrorless cameras they crop the image due to sampling and an overwhelming amount of data coming from the massive sensors which can make 4k footage a slight pain to record. Photography is one of the most expensive hobbies out there; it is easy for enthusiasts to sink thousands of dollars not only into the camera, but lenses, support, and various other accessories. Most travel bloggers should focus more on the travel than buying the most expensive, cutting-edge equipment. So it is vital to first determine what your budget and set priorities. Would you rather pay to go island hopping in Southeast Asia or blow your money on high-tech electronics? To further that point if you plan to earn an income on your blog you need to start viewing a camera as a business expense. When we are set to make a new purchase we like to think about the bottom line and what the ROI will be for us. In my opinion, far too many people are walking around with far too much in the name of travel blogging. Many cameras also require the purchase of lenses, this needs to be kept in mind when purchasing a camera. The vast majority of cameras are sold in kits which include one lens and the camera body. These lenses used to be garbage, but many now offer a wonderful kit lens that hits the mid-range focal lengths. It also may be more advantageous to go with a lower model camera in order to afford an additional lens like a wide angle or zoom. If you’re into adventure and landscapes consider the cost of a wide angle lens. Someone interested in food or culture may want a nice prime lens like a fast 50 or 85mm lens. Wildlife or events enthusiasts should have a long lens around 200mm+. 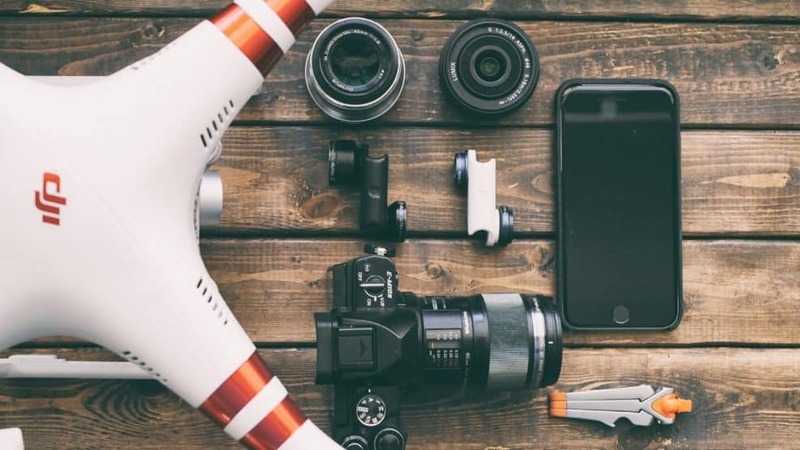 Make sure to consider the final price of your camera package add the cost of the camera, lenses, memory cards, spare batteries, camera bag, and a tripod. Perhaps, you can not afford the camera you thought you could when you add up the total cost. When choosing a camera, you need to think about your photography needs. If it is landscapes, portraits, low light, or the night sky, each of these shots requires your camera to do very different things. For portrait photography and working in low light, you will need a faster aperture; in layman’s terms, a bigger opening to let in more light. For other people, they may have no need to have a maximum of 1.2 aperture. For landscape photography, typically you would be wanting a camera with a wide-angle lens to get all the scenery into the frame. These features barely scratch the surface of the various features which contribute to crafting your perfect shot. Regardless, it is important to know what kind of photographer you are to sort through what you need and what is unnecessary. This is a broad category, but the primary point I’d like to stress is the video capabilities of a camera. Even if you do not have plans to be a vlogger, I’d still encourage every blogger to at least have a camera capable of recording video and to use that camera. We are not vloggers, but shooting video is still a core component of what we do. Any camera as a bare minimum should record 1080p. Other great features come down to frame rates a camera can record in like 60p or perhaps 120? This refers to the number of images captured to create a moving image. Higher frame rate cameras allow for footage to be slowed down to a greater degree. This is a key component to the creation of buttery smooth shots now a key part of creating a beautiful video – it can go a little far sometimes! Then there is image stabilization in which the sensor operates on small axis motors capable of reducing a shaky hand. A lot of people believe they need 4k video recording capabilities. To this day, 4K is not a necessity for cameras and the simple fact is most laptops used by travelers are incapable of editing 4K video footage. To further this point if your video is destined for a digital world very few people are digesting the content on a large 4k TV and most computers do not have 4k screens. Those that can edit 4k are still faced with the creation of video proxies and understanding the intricacies of editing, just another task to learn. Weight, as well as size, is important for all equipment when living the life of a digital nomad. Cameras, of course, are no exception. No traveler wants to be stuck with extra weight in their bag when gorilla trekking in a jungle or exploring the city streets with a full rucksack. As mentioned above, cameras are gradually getting lighter. With the improvements made with mirrorless cameras, you can get a high-end camera weighing half of what DSLRs weigh. When you know what you want out of your camera and decide that you are not willing to carry around loads of bulky electronics, it is much easier to narrow down your choices. Personally, we travel with far too much, but we’re at that point in our travel blogging career. In my opinion, it is the best camera for travel blogging. You don’t need a ton of accessories just a memory card with a lightweight tripod and you’re done. To further the point it fits in a pocket, we picked this camera up because we can take it on hikes, snowboarding, and into sensitive areas without drawing any attention. It’s phenomenal and the amount of camera that Sony packed into such a small product is amazing. We’ve now owned about a dozen cameras all across the board and one of my favorite cameras has been this one. As a bonus, they make the cheapest underwater housing for this camera around $300. If you like to surf or scuba this is a tremendous option. To stress the big negatives again with this camera is the viewfinder, small body, and battery. I find the viewfinder really difficult to use in hard lighting conditions, tough to operate for a full day, and the lack of a spare battery annoying. It’s a perfect secondary camera that could very well be used as a primary camera for travel blogging. 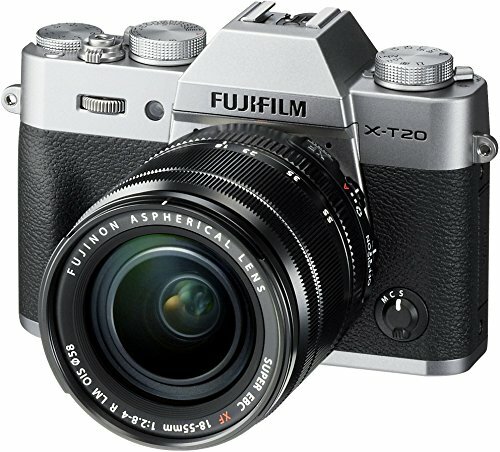 The Fujifilm X-20 is a tremendous choice and Fujifilm isn’t getting all the glory they should – more on that later. The XT-20 not only shoots in 4K video, but is mirrorless, compact, has great image quality, and along with a nice autofocus sensor. For this moderately priced model, you truly get your money’s worth in features with this camera. To further this point the X series of lenses appears at the moment to be a great investment. Fujifilm latest cameras continue to use the line and it feels little need for a change in the series. They are also some of the sharpest lenses we’ve had the pleasure to use. With so much power packed into the small X-T20, it’s no wonder that one of the camera’s biggest issues is battery life. Many people only take around 450 photos before the camera calls it quits. Other than this issue – which can be solved by carrying around extra batteries – the X-T20 is an all-inclusive camera, perfect for blogging. We have the first version of this camera the XT-10, it was tremendous and captured a lot of our Africa content. 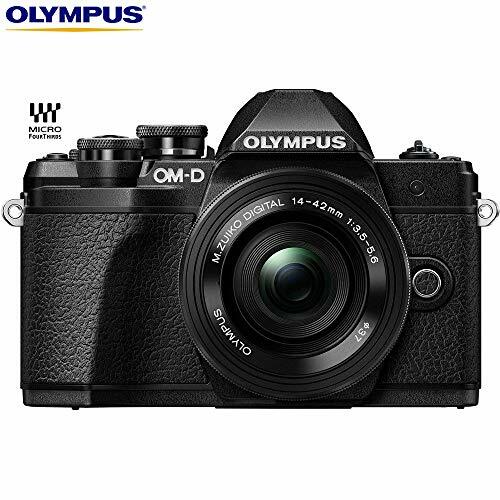 This mid-level mirrorless Olympus camera packs quite a punch for its small body and relatively cheap price. The Mark III also includes a tilting screen, as well as touchscreen autofocus. The video on this Olympus model also shoots up to 4k ultra high definition and has excellent stabilization, which is a step up from its predecessor, the Mark II. This camera also has tons of lenses and accessories available to allow further customization. Unfortunately, compared to other cameras the Mark III’s autofocus is not suited for action shots such as sports photography. Also, with such top of the line video resolution, you would think they would have installed a mic input. All in all, the Mark III is a huge jump for Olympus by combining both high-quality photography and video into such a small body. With such sophistication and an easy to use interface, the Mark III can appeal both to beginner and professional users. The Nikon DX series is known for its pristine image quality. The D7500 continues the line of great cameras, bringing them a step forward with its highly responsive autofocus feature, shooting at the high speed of 8 frames a second, and responsive touchscreen. 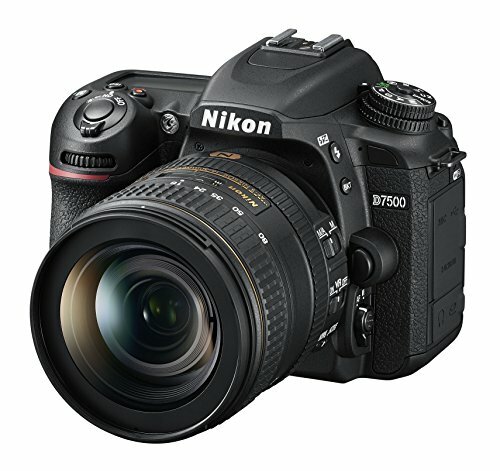 Unlike the other D7000 models, the 7500 finally offers a tilting screen. Like many other Nikons, this model is compatible with a slew of accessories and lenses. The D7500 also shoots video in 4K ultra high definition, but unfortunately only offers stabilization up to 1080p. The only cons about this Nikon model is that it only has one SD card slot and its live view autofocus is fairly slow. With an increasingly mirrorless market, the Nikon D7500 surpasses its competition with its outstanding performance and high definition photos. This beautiful and reasonably priced camera is both weather resistant and mirrorless. It is easily the best ASP-C camera on the market and gives a serious run at many of the full frame cameras. After all, is a full frame camera really a necessity? In my opinion, not at all! Although a couple of years old, the Canon EOS 80D still competes with the most modern cameras on the market. As a longtime fan favorite, the 80D provides outstanding subject tracking, continuous autofocus even when in video mode, and excellent low light performance. The Canon EOS 80D is still used by many photographers today, not only for its phenomenal image quality but also for its durable weather sealed body. I have beaten mine into a pulp. With its long body life and rugged exterior, this camera is sure to be working for you all throughout the day and be the perfect travel companion for years to come. Due to its age, the 80D does not shoot in 4K like most of the newer cameras on the market. It does, however, offer a mic input making the 80D more video friendly. The Canon EOS is one of the most reliable, high-quality cameras money can buy. Once bought you will quickly see why this camera is constantly found on top ten lists around the web. The small lightweight Rebel SL2 makes for one of the most reliable and reasonably priced cameras available. Even though the Rebel is more geared towards beginners, the SL2 still incorporates the DIGIC processor which is used in many professional cameras. Like other high-end cameras, the Rebel SL2 is complete with touchscreen capabilities, WIFI connectivity, as well as a highly effective live view autofocus sensor. What the Rebel SL2 lacks is 4K video which is so common with most models today, the Rebel only shoots up to 1080p. While it does have Duel Pixel AF in live view, it uses the outdated 9-point focus system. 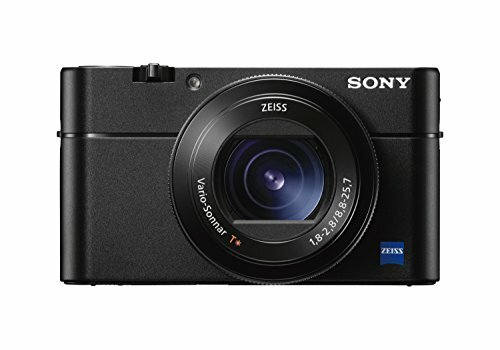 Overall, the Rebel SL2 is a well-built camera meant for beginner or casual photographers. 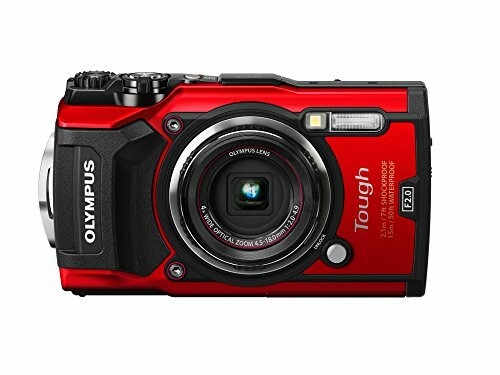 For those really traveling to the edge, the waterproof Olympus TG-5 will be right by your side, no matter if you are climbing the most rugged of mountains or diving to the bottom of the ocean. This camera is a simple point and shoot, so don’t be expecting to have too many options in terms of manipulating the image quality. Even with its lack of zoom and manual settings, the TG-5 has a fantastic macro function and even has an aperture of f2.0. Good news for those wanting to do video as well: the TG-5 also shoots in 4K Ultra HD. This moderately priced T-5 is a steal for the sheer durability and functionality of this camera. Truth be told it makes a good second camera and a questionable primary. I’d only recommend going this route for a few budget-strapped and rugged adventurers. The Lumix LX 100 II is a compact point and shoot camera which still can satisfy even the most experienced of photographer’s expectations. The LX 100 II is so versatile that its interface is simple enough for novice photographers, while still providing extremely sophisticated manual settings which allows experts to have limitless creative control. Its lens has an aperture equivalent of 1.7-2.8, making it perfect for macro photography and shooting in low light. 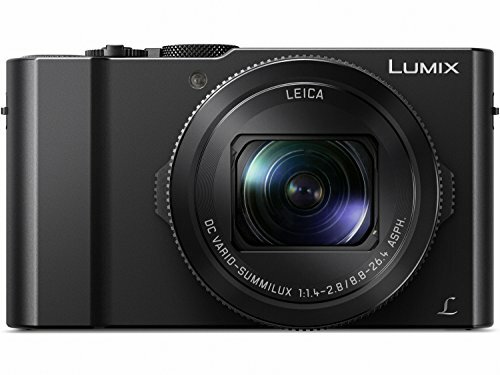 On top of everything else, the LX 100 II also shoots in 4K ultra high definition. For so many advanced functions one would think the LX100 II would also include a tilting touchscreen which is fairly common with most newer cameras on the market today. If dependent on the EVF (electronic viewfinder), be prepared for the battery to be drained severely. You can conserve battery life, however, by using the optical viewfinder. Even though weighing only 393g, the Lumix LX100 II can hold its own against the most hi-tech of DSLRs and mirrorless cameras, making this camera one of the best point and shoots you can buy today. 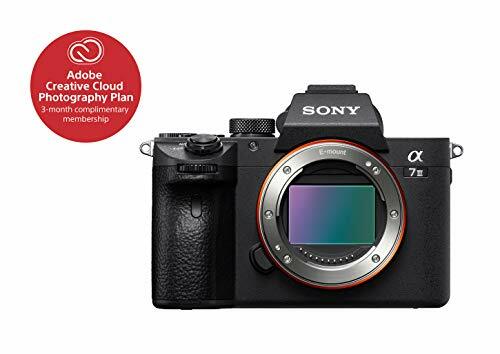 The Sony A7 III is the hot camera of 2018. Sony had a smash with this camera offering a truly amazing workhorse of a camera that has flown off the shelves and left stores with backorders for months. It has a full frame sensor, excellent high ISO quality, a whopping 24.2 megapixels, and full-screen auto-focusing, it is no wonder this is one of the best professional cameras you can get. If you are wanting to take videos, the A7 III shoots in 4k full frame format. However, that 4K results in a cropped sensor and the rear LCD still lacks a touch to focus feature like the video-friendly Canon models. The drawback, of course, is the price. For the top of the line camera such as this, it is well out of range for your average beginner travel blogger. Other than the price itself, the other complaint would be about the battery life. Other than these two cons, this camera is as the top of the line as you can get for a mirrorless, full-frame camera. Switching to a Sony camera will always cost you an arm and a leg, not only for purchasing the body but for the extra cost of lenses and accessories that go with it. 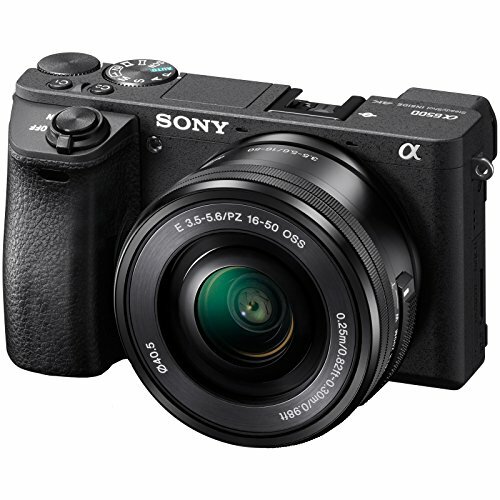 The Sony A6500 is great for its mirrorless image quality, image stability, weight, and autofocus. The video also shoots at 1080p, which is good, but not as great as the cameras boasting 4K high definition. The speed of this camera is unmatched by anything else on the market. Shooting 10 frames a second and 4D autofocus, the A6500 stands supreme. What may deter bloggers from using the A6500 is the battery life and lack of adaptability when shooting in low light. Again, for pristine overall image quality, you can’t beat a Sony camera. When I saw the camera was announced and read the specs it instantly had me thinking. The initial idea had been to invest in a model of the Sony A7III and to jump on the bandwagon. However, that meant investing in new lenses and buying a whole lot of camera that I wasn’t sure we needed. We don’t sell our photographs to be placed on billboards and would likely never take advantage of a super high MP count camera in the R series of the camera. There is also a strong argument for ASP-C over a full frame camera in regards to video. 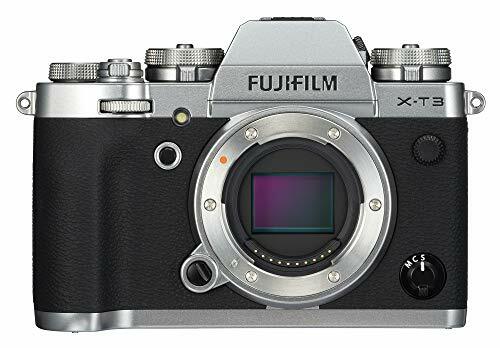 Above all we love the ergonomics of the Fuji Xt3, we love the tactile feel, and that it reminds us of what cameras once were. After several weeks of use now I can safely say it’s an absolute pleasure to use and the most intuitive camera I’ve ever put my hands on. In addition to all of this, it is one of the best digital cameras on the market producing flawless images with amazing skin tones and superb sharp compact lenses. It’s a fantastic camera that is a blast to handle and has us shooting photography in a way we had forgotten. I can not say enough nice things about this camera and I have little doubt it will be a hit with photographers around the world. When bloggers first started they could get by slapping whatever image they snapped up on the internet. I’d be lying if that was the case any longer, granted some still get by with bad photos I wouldn’t follow their lead. Truth be told if you plan to tackle social media and make a beautiful website you need to be editing your photos. To do so requires professional software like Adobe Lightroom. I’d make the argument that a skilled photo editor can produce better images with an old subpar camera than someone who doesn’t take the time to edit shooting on professional equipment. Post processing of images has and will always be half the work when it comes to producing great photography. Even with film cameras, a photographer took time to choose film stock and carefully develop their film to produce the desired result. Side note, don’t waste your money on buying someone presets, especially if it’s a couple hundred dollars. 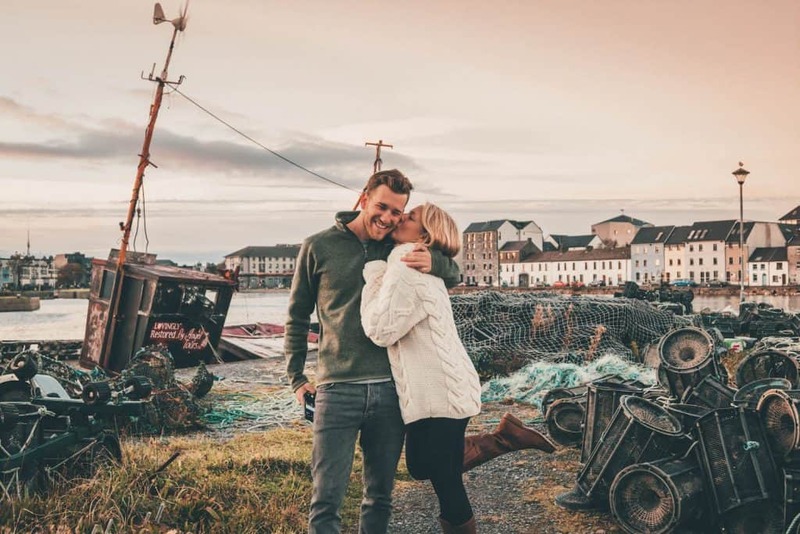 If you’re a couple this is a necessity and if you’re a solo traveler even more so. When we started our blog we were adverse to placing ourselves in the frame of the photograph and found it to be narcissistic. However, as time has passed us by we’ve become to realize those who carry the most influence do so with a brand. You are your brand and it’s important to be in an image or two. Readers want to see you anyone who says otherwise is just wrong. Don’t expect to charge your battery every night and you never know when you’ll have a day that just begs for you to shoot the whole day. There is literally no worse feeling than not being able to take photographs because your camera is dead.